Sometimes, you've gotta shake hands with the devil in order to get something you want. 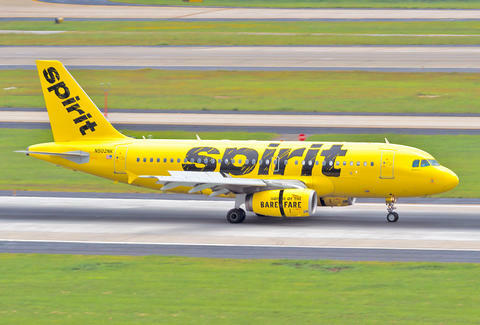 In this case, the "something you want" is a $35 plane ticket, and the devil is Spirit Airlines: from now until 11:59pm on July 21st, the budget airline is offering steeply discounted one-way tickets to and from major US cities like Los Angeles, Chicago, Dallas, and New York. The discounted rates are available for select travel dates in August, September, October, and November 2015, and while ordinary Spirit customers will pay $35 for a ticket, you can grab one for the even lower price of $24 if you happen to be a member of Spirit's $9 Fare Club -- which, let's face it, you're probably not. Still, $35 for a plane ticket is pretty incredible, even if you are flying with the most detested airline out there. Sample itineraries (at the time of this writing) include Los Angeles to Denver, Boston to Las Vegas, and Houston to New Orleans; check out the deal page between now and midnight tomorrow to take advantage of Spirit's back-alley airfare offerings.